[WEB SITE] What’s new and exciting in epilepsy research? Despite decades of new anti-epileptic drugs (AEDs) reaching market, the problem of drug refractory epilepsy remains. 25-30% of patients do not respond appropriately to AEDs. However in recent years advances in technology and non-pharmacological approaches are beginning to address this clinical need. We are beginning to see the translation of these therapies with exciting and promising results. I suspect within a decade, real progress will be made in treating or even curing the 25-30% who currently have few, often palliative options. For some drug refractory patients surgery may be an option, but its success is dependent on precise localisation of a seizure onset zone. Improvements in neuroimaging and the electrophysiological devices used to detect seizure onset zones are increasing the accuracy of the area of the brain targeted for resection. There is also a realisation that many focal onset epilepsies may have a more distributed epileptic network. Mathematical modelling and application of advanced fMRI-EEG studies are identifying distributed epileptic networks. Further understanding of the importance of these networks may be key to improving surgical outcomes. Surgery though is only an option for a minority of drug refractory patients. For those unsuitable for surgery promising and exciting results have been reported particularly in childhood epilepsies treated with cannabinoids (you can find out more about the ERUK position on medicinal cannabis here:) or components of the ketogenic diet such as decanoic acid. Further basic science investigations into the mechanism by which these compounds work may lead to molecules with improved anti-seizure properties. Antagomirs, molecules that block specific microRNAs upregulated in epileptic brain, have also shown considerable preclinical efficacy and are likely to enter clinical trials in the not too distant future. Gene therapy holds promise, as this allows the ability to design strategies to achieve region-specific and cell-specific modification of neuronal and circuit excitability. The viral vectors that are used to deliver transgenes are increasingly reliable in terms of expressing the transgene, and data on long-term safety are accumulating from other neurological diseases. The potential to translate gene therapy research to human pharmacoresistant epilepsy is not straightforward. However a decade of preclinical proof or principle basic science has resulted in at least two gene therapy strategies currently being funded for first in human studies. It is envisioned that the first people to receive a gene therapy treatment for epilepsy could be within the next 18 months. Recent advances in gene-editing technologies such as the CRISPR-Cas9 system could in the future result in entirely novel treatment for epilepsy by repairing disease-causing gene mutations. Although this technology offers the prospect of a ‘cure’ and can be applied to neurones in a petri dish, there are significant advances still required before this technology enters clinical translation for epilepsy. I believe the biggest breakthrough will come however from basic science. It is astonishing to realize that we still don’t know how a seizure starts or how it stops! Recent advances that allow imaging of neuronal activity in awake rodents, coupled with the development of sophisticated multi-electrode devices and in combination with molecular techniques to target distinct types of neurons are shining a light on these fundamental questions. Further work in this area will result in a better understanding of seizure initiation and termination which may result in a radically different approach to treat people with epilepsy. With many thanks to Dr Robert Wykes, University College London, Queen Square Institute of Neurology, for this contribution. [Abstract] The management of epilepsy in children and adults. The International League Against Epilepsy has recently published a new classification of epileptic seizures and epilepsies to reflect the major scientific advances in our understanding of the epilepsies since the last formal classification 28 years ago. The classification emphasises the importance of aetiology, which allows the optimisation of management. Antiepileptic drugs (AEDs) are the main approach to epilepsy treatment and achieve seizure freedom in about two-thirds of patients. More than 15 second generation AEDs have been introduced since the 1990s, expanding opportunities to tailor treatment for each patient. However, they have not substantially altered the overall seizure-free outcomes. Epilepsy surgery is the most effective treatment for drug-resistant focal epilepsy and should be considered as soon as appropriate trials of two AEDs have failed. The success of epilepsy surgery is influenced by different factors, including epilepsy syndrome, presence and type of epileptogenic lesion, and duration of post-operative follow-up. For patients who are not eligible for epilepsy surgery or for whom surgery has failed, trials of alternative AEDs or other non-pharmacological therapies, such as the ketogenic diet and neurostimulation, may improve seizure control. Ongoing research into novel antiepileptic agents, improved techniques to optimise epilepsy surgery, and other non-pharmacological therapies fuel hope to reduce the proportion of individuals with uncontrolled seizures. With the plethora of gene discoveries in the epilepsies, “precision therapies” specifically targeting the molecular underpinnings are beginning to emerge and hold great promise for future therapeutic approaches. PRECISION therapies targeting the molecular mechanisms of the disease are the shining hope for patients with uncontrolled, drug-resistant epilepsy, according to the authors of a narrative review published by the MJA. The review was written in the wake of a new classification of epileptic seizures released by the International League Against Epilepsy (ILEA) in March 2017, which emphasises the importance of aetiology in allowing “optimisation of management”, as well as the importance of identifying comorbidities, such as learning, psychiatric and behavioural problems. “The treatment of epilepsy relies primarily on antiepileptic drug (AED) therapy, which fully controls seizures in about two-thirds of patients,” wrote the authors – Dr Piero Perucca, consultant neurologist at the Royal Melbourne Hospital and Monash University, Professor Ingrid Scheffer, paediatric neurologist at Austin Health and the Florey Institute, and Dr Michelle Kiley, the director of Epilepsy Services at the Royal Adelaide Hospital. Over 15 second-generation AEDs have been developed since the 1990s and although they offer greater choice, and therefore more targeted options for patients, they have not significantly altered seizure-free outcomes. Patients with drug-resistant epilepsy – defined by ILEA as “failure of adequate trials of two tolerated, appropriately chosen and used AED schedules (whether as monotherapies or in combination) to achieve sustained seizure-freedom” – should be considered for surgery at the earliest opportunity, the review authors wrote. 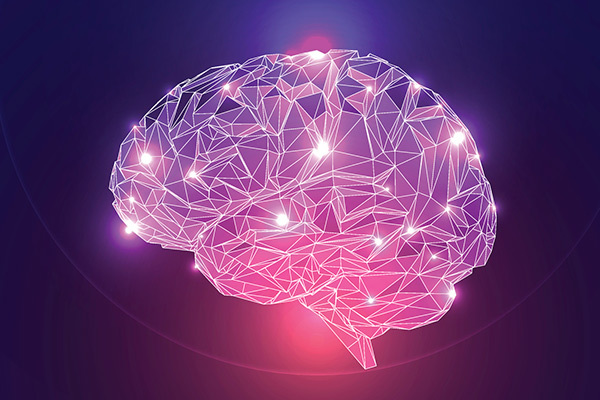 “Epilepsy surgery involves resection or, less commonly, disconnection or destruction of epileptic tissue, and it is the most effective therapy for selected patients with drug-resistant epilepsy,” they wrote. Despite that, and official recommendations from the American Academy of Neurology, the American Epilepsy Society and the American Association of Neurological Surgeons, delayed uptake of the surgical option remains “of concern”. “These recommendations have not translated to increased use of epilepsy surgery,” Perucca and colleagues wrote. Other non-pharmacological therapies – including vagus nerve stimulation, transcutaneous stimulation of the vagus or trigeminal nerve, deep brain stimulation of the anterior nucleus of the thalamus and responsive cortical stimulation, ketogenic diet and a modified Atkins diet – are also evaluated by the review authors as hopeful paths for research. Perucca and colleagues were cautious in their hopes for medicinal cannabis. “Scientifically sound evidence on the effectiveness of cannabinoids in epilepsy was provided only recently [in cases of Dravet and Lennox–Gastaut syndromes] … Overall, more evidence is required before cannabidiol can be considered further for the treatment of most individuals with epilepsy,” they wrote. Precision medicine provides perhaps the brightest hope for patients battling resistant epilepsy, the review authors wrote. “The advent of next-generation sequencing has fuelled renewed hope, especially following successful models developed in oncology. “Epilepsy offers a promising opportunity for precision medicine, due to the myriad of gene discoveries, availability of experimental in vitro and in vivo models for drug screening, and the feasibility of conducting small, cost-effective trials of novel agents. “For some genetic epilepsies, precision medicine is already a reality,” they said. “A prime example is glucose transporter type 1 deficiency syndrome, in which dominant mutations in SLC2A1 result in impaired brain uptake of glucose. These patients respond to the ketogenic diet, which provides the brain with an alternative energy substrate. The review authors concluded by emphasising surgery and precision medicine as the areas of greatest potential for patients with epilepsy seeking to lead a seizure-free life. “A subset of drug-resistant individuals can be rendered seizure-free by epilepsy surgery, which should be considered as soon as two AEDs have failed. “In other individuals, seizure control can be improved by using alternative AEDs or non-pharmacological therapies, but they rarely result in seizure freedom. The study is the largest so far to evaluate the risk of serious traffic accidents in epilepsy—and the first to evaluate all types of accidents, not just car crashes. “We cannot determine to what extent the increased risk is seizure-related, but other studies have shown that the majority of car crashes in individuals with epilepsy are not caused by a seizure, although accidents in general seem to be,” wrote first author Helene Sundelin, PhD, of Linköping University Hospital (Linköping, Sweden), and colleagues. Seizures impair awareness and motor skills, which can interfere with safe driving. While driving restrictions for people with epilepsy vary by country, many require AED treatment as a prerequisite before obtaining a license. But the issue isn’t so straight forward. AEDs can also impair driving ability. And, people with epilepsy may also suffer from psychiatric disorders and take psychiatric drugs, both of which may affect driving. To tease out the contribution of these various factors to impaired driving in epilepsy, researchers conducted a study using Swedish national health registers. The study included 29,2220 adults with epilepsy but without cerebral palsy or intellectual disability, matched to 267,637 healthy controls. Researchers followed these individuals from 2006 to 2013 to see how many with epilepsy had serious traffic accidents requiring an ED visit or resulting in death and compared them to controls. Types of accidents included motor vehicular, motorcycle, bicycle, and pedestrian. Researchers also looked at whether the risk for accidents increased with AED use, as well as the impact of psychiatric comorbidities. Adjusting for psychiatric disorders and psychotropic medication did not change the results. This suggests that epilepsy is the main reason for increased risk of serious traffic accidents, according to the authors. Further analysis showed that people with epilepsy have an estimated 297 more serious traffic accidents per year than controls. The numbers of serious pedestrian, bicycle, car and motorcycle accidents per year in epilepsy vs controls were also increased by 32, 133, and 28, respectively. While AEDs were not linked to serious traffic accidents, only 25% of individuals in this study were actually taking them. These individuals may have been nonadherent, or no longer required AEDs. If they were in remission, they may have been at decreased risk of seizure and impaired driving. This limitation could explain why the study did not find a link between AEDs and serious traffic accidents. Further studies are needed to clarify this point. The authors drew particular attention to bicycle and pedestrian accidents. Bicyclists are not required to have licenses, yet these accidents can be very serious and even deadly. People with epilepsy could benefit from increased awareness and education about prevention of these types of accidents, they stressed. “Bicycle accidents in the general population are a growing problem as cycling becomes increasingly popular, which is probably true also for individuals with epilepsy. The increased risk of 70% should have implications both for implementations of safety measures and counseling of individuals with epilepsy. Our results raise the same concern for pedestrians with epilepsy,” they wrote. See: Take Home Points. 1. Sundelin HEK, Chang Z, Larsson H, et al. Epilepsy, antiepileptic drugs, and serious transport accidents: A nationwide cohort study. Neurology. 2018 Feb 28. pii: 10.1212/WNL.0000000000005210. [WEB SITE] Is epilepsy curable? Epilepsy is a medical disorder in which a person suffers from a tendency to throw repeated fits or seizures. Seizures occur because of sudden, uncontrolled electrical activity in the brain. It is amongst the most common neurological conditions. The causes of epilepsy can be many, which include brain infections, birth injury, tumours, trauma, congenital malformations, genetic and many others. There are many treatment options available that help to deal with the condition in a better manner and help one lead a fruitful life. But despite so many therapeutic options being available a large number of epilepsy patients continue to be untreated and hence are unable to lead a normal life. It is estimated that there are about 10 million people with epilepsy in India but an only small percentage of patients are adequately treated. 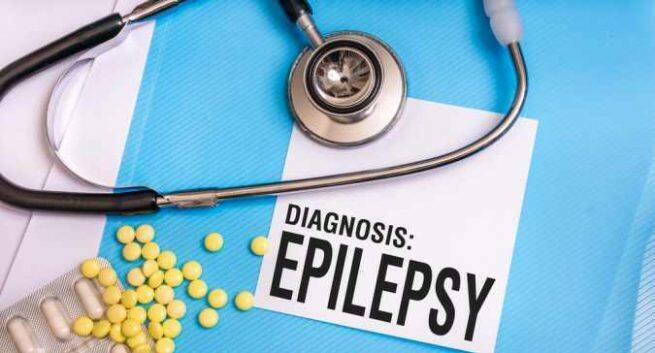 So, to know if epilepsy as a condition can be treated adequately, we spoke to some experts. Can epilepsy be cured completely? As per the estimates, 1 out of every 100-200 person in India suffers from epilepsy, yet most of us have only a hazy idea of what it is. The major problem with epilepsy in our country is late detection. By the time the severity is gauged, the patient would have become an adult. Early detection is a must as it can lead to a complete cure. Can people suffering from epilepsy prepare themselves to tackle a seizure or a fit? ‘Epileptic seizures often occur without a warning; however, some people may have an aura of the seizure before it occurs. The causes of epilepsy may vary from person to person. Seizures, anxiety, blank stares, headaches, sleepiness, staring spells, or temporary paralysis after a seizure is commonly seen in epilepsy,’ says Dr Kavita Barhate, Consultant Neurologist Dr Barhate’s Neurology clinic, Dombivali, Mumbai.A proper understanding of the causes and risk factor of epilepsy are essential for effective management of epilepsy in India, where the majority of patients are still untreated or inadequately treated. Is epilepsy a life-threatening condition? More than the condition it is the seizures that are dangerous. It can lead to accidents and other occupational hazards. It poses a huge risk, especially for those who work at high-rise buildings or near water which could lead to drowning. What are the treatment options for epilepsy? Drug therapy: The first line of treatment that is offered is anti-epileptic drug or AED therapy. Drugs like phenytoin, oxcarbazepine, valproate, phenobarbitone and carbamazepine are conventional drugs are used. A combination of these drugs may be given if required. Complete withdrawal of drugs is considered only when the patient is seizure-free. Usually, the dosage of the drug is reduced gradually and over a period of 3–6 months (or longer) the patient may be free from seizures. In some cases, patients may need to be dependent on drug therapy for a lifetime. Removal of seizure focus: It is the most common type of surgery where a small part of the brain where a disturbance in signals is observed is removed. Multiple Subpial Transection: Sometimes, when the affected part cannot be removed, the surgeon may introduce series of incisions to prevent the signals from the affected part to reach other parts of the brain. Lesionectomy: Epilepsy caused by the presence of a lesion can be treated by surgical removal of the legion. Vagus nerve stimulation: This method is considered for people who are not fit for surgery. In this method, a device called vagus nerve stimulator is implanted under the skin of the patient in the chest. The device remains attached to the vagus nerve that delivers electrical signals to the brain thereby reducing seizures by 20 to 40 percent. —Learning how the ketogenic diet suppresses seizures in patients with refractory epilepsy revealed new targets for anti-epileptic drug design and novel therapeutic approaches. Diet restriction is an ancient method for control of epileptic seizures, though a precise understanding of how it mediates seizure suppression is still unknown. Development of the high-fat, low-carbohydrate, protein-adequate ketogenic diet (KD) was based on the hypothesis that ketone production induced by glucose deprivation is responsible for the historic seizure-suppressing effect of fasting. Recently, several key findings regarding how the ketogenic diet suppresses seizures in patients with refractory epilepsy have revealed new targets for anti-epileptic drug design as well as novel therapeutic approaches for epilepsy. Newly identified mechanisms of seizure suppression induced by the ketogenic diet provide insight into novel therapies for treatment of drug-resistant epilepsy. Definition of specific seizure-control pathways suggest that AMPA receptor antagonists and LDH inhibitors might be useful mimetics of the ketogenic diet. Two potential approaches for epilepsy treatment include recalibration of DNA methylation levels and alteration of the gut microbiome. While most epileptics become seizure free with AED treatment, roughly 30% of patients will continue to have seizures despite taking multiple AEDs.2 Uncontrolled seizures not only limit quality of life, but are also associated with risk of sudden unexpected death in epilepsy (SUDEP),3 highlighting the need for improved understanding of alternative interventions. The KD imparts its effect via multiple pathways. In general, it is believed that the KD works by decreasing neuronal excitability, decreasing inflammation, and improving mitochondrial function, either through the direct action of ketone bodies and fatty acids, or through downstream changes in metabolic and inflammatory pathways. Several specific mechanisms have been suggested by studies performed in vitro or in animal models of epilepsy, including: 1) direct action of ketone bodies; 2) direct action of fatty acids; 3) glycolic restriction or diversion; 4) altered neurotransmitter systems involving GABA, glutamate, and adenosine; 5) changes in ion channel regulation; 6) improved mitochondrial function and cellular bioenergetics; 7) a reduction in oxidative stress; and 8) enhancement of the tricarboxylic acid (TCA) cycle.1 While data support a role for each of these pathways in seizure control, several recent studies have identified precise molecules that regulate specific pathways involved in seizure suppression. These molecules may thus serve as targets for drug development that could provide the same effects as the KD without the need for diet restriction. This binding is unique to decanoic acid, while octanoic acid and valproic acid do not interact with AMPA receptors.“If it were possible to replace the diet with an AMPA receptor antagonist, this would enormously simplify therapy, avoid the poor palatability and gastrointestinal side effects of the diet, and therefore make treatment available to a broader group of patients,” wrote Dr. Michael Rogawski in a commentary on the findings of Chang et al.5,6 As such, a comparative trial between the MCT KD diet and parampanel warrants consideration. While it is well known that the KD affects energy metabolism, metabolic enzymes that control epilepsy have not yet been identified. Similarly, no AEDs are known to directly impact metabolic pathways, though the mechanism of action of many AEDs remains unclear.7 In a landmark study published in Science, Sada et al investigated the mechanism by which glucose deprivation leads to neuronal hyperpolarization and subsequent seizure suppression. By simply switching the energy source from glucose to ketone bodies (as occurs on the KD), neurons from the subthalmic nucleus of the basal ganglia were dramatically hyperpolarized. However, addition of ketone bodies alone did not hyperpolarize the neurons; instead, Sada et al were able to show that glucose deprivation resulted in inhibition of lactate dehydrogenase (LDH), an enzyme that converts glucose to lactate in astrocytes, and that this inhibition alone is responsible for neuron hyperpolarization. Therefore, this study suggests it is the inhibition of LDH, and not activation of the tricarboxylic acid (TCA) cycle by ketone bodies, that mediates anti-seizure effects. Sada et al demonstrated that direct inhibition of LDH could suppress seizures both in vitro and in vivo (mouse), confirming LDH as a valid target for development of AEDs. While acute prevention of drug-refractory seizures is the primary goal of the KD, study of children following the diet suggests that KD may confer protection against seizures even after its discontinuation.8 A proposed mechanism has been recently outlined by Lusardi et al, who demonstrated that the KD reduced hippocampal DNA methylation to levels found in non-epileptic controls, resulting in delayed onset of severe seizures and slower disease progression.9 Importantly, this reduction was maintained over at least 8 weeks after diet reversal, suggesting a “recalibration” of brain chemistry. Similarly, another study found that the KD delayed disease progression and increased longevity by 47% and in mouse models of SUDEP.3 Since hypermethylation of hippocampal DNA is a hallmark of the epileptic brain, the finding that long-lasting epigenetic changes can be maintained in animals predisposed to severe epilepsy suggests that “recalibration” of the epileptic brain is possible. Drugs that increase hippocampal adenosine concentration to that achieved by the KD may prove effective at decreasing DNA methylation status in the epileptic brain,10 and should be pursued for treatment of drug-resistant epilepsy. A new, recently identified physiologic change induced by the KD is alteration of the gut microbiome. Using a mouse model of Autism Spectrum Disorder (ASD), in which the KD has been shown to limit symptoms,11 Newell et al demonstrated remodeling of the gut microbiota, leading to lower bacterial load and altered composition.12 Interestingly, the authors point out a 2- to 3- fold increase in bacterial species that generate short-chain fatty acids (SCFAs) that actively communicate with the brain. Given the increasing evidence of a “gut-brain axis” and the knowledge that fatty acids play an active role in the epileptic brain, it will be important to determine what role this change in gut microbial composition may play in regulation of seizures. 1. Rektor I. Perampanel, a novel, non-competitive, selective AMPA receptor antagonist as adjunctive therapy for treatment-resistant partial-onset seizures. Expert Opin Pharmacother. 2013;14:225-235. 2. Martin K, Jackson CF, Levy RG et al. Ketogenic diet and other dietary treatments for epilepsy. Cochrane Database of Syst Rev. 2016;2:1-34. 3. Simeone KA, Matthews SA, Rho JM et al. Ketogenic diet treatment increases longevity in KcnaI -null mice, a model of sudden unexpected death in epilepsy. Epilepsia. 2016;57:178-182. 4. Boison D. New insights into the mechanisms of the ketogenic diet. Curr Opin Neurol. 2017;30:187-192. 5. Chang P, Augustin K, Boddum K et al. Seizure control by decanoic acid through direct AMPA receptor inhibition. Brain. 2016;139:431-443. 6. Rogawski MA. A fatty acid in the MCT ketogenic diet for epilepsy treatment blocks AMPA receptors. Brain. 2016;139:306-309. 7. Sada N, Lee S, Katsu T et al. Targeting LDH enzymes with a stiripentol analog to treat epilepsy. Science. 2015;347:1362-1367. 8. Carabello R, Vaccarezza M, Cersosimo R, et al. Long-term follow-up of the ketogenic diet for refractory epilepsy: multicenter Argentinean experience in 216 pediatric patients. Seizure. 2011;20:640-645. 9. Lusardi TA, Akula KK, Coffman SQ, et al. Ketogenic diet prevents epileptogenesis and disease progression in adult mice and rats. Neuropharmacology. 2015;99:500-509. 10. Williams-Karnesky RL, Sandau US, Lusardi TA, et al. Epigenetic changes induced by adenosine augmentation therapy prevent epileptogenesis. J Clin Invest. 2013;123:3552-3563. 11. Ruskin DN, Svedova J, Cote JL, et al. Ketogenic diet improves core symptoms of autism in BTBR mice. PLoS One. 2013;8:e65021. 12. Newell C, Bomhof MR, Reimer RA et al. Ketogenic diet modifies the gut microbiota in a murine model of autism spectrum disorder. Mol Autism. 2016;7:37. Post-stroke epilepsy (PSE) is a major complication after stroke. It is unclear which treatments are most effective in the prevention of recurrence of symptoms, or whether such therapy is needed for primary prevention. The current understanding of epidemiology, diagnoses, mechanisms, risk factors, and treatments of PSE are covered in this review. Post-stroke epilepsy (PSE) is a common complication after stroke, yet treatment options remain limited. While many physicians prescribe antiepileptic drugs (AED) for secondary prevention of PSE, it is unclear which treatments are most effective in the prevention of recurrence of symptoms, or whether such therapy is needed for primary prevention. This review discusses the current understanding of epidemiology, diagnoses, mechanisms, risk factors, and treatments of PSE. BACKGROUND: Neuromodulation-based treatments have become increasingly important in epilepsy treatment. Most patients with epilepsy treated with neuromodulation do not achieve complete seizure freedom, and, therefore, previous studies of vagus nerve stimulation (VNS) therapy have focused instead on reduction of seizure frequency as a measure of treatment response. OBJECTIVE: To elucidate rates and predictors of seizure freedom with VNS. METHODS: We examined 5554 patients from the VNS therapy Patient Outcome Registry, and also performed a systematic review of the literature including 2869 patients across 78 studies. RESULTS: Registry data revealed a progressive increase over time in seizure freedom after VNS therapy. Overall, 49% of patients responded to VNS therapy 0 to 4 months after implantation (≥50% reduction seizure frequency), with 5.1% of patients becoming seizure-free, while 63% of patients were responders at 24 to 48 months, with 8.2% achieving seizure freedom. On multivariate analysis, seizure freedom was predicted by age of epilepsy onset >12 years (odds ratio [OR], 1.89; 95% confidence interval [CI], 1.38-2.58), and predominantly generalized seizure type (OR, 1.36; 95% CI, 1.01-1.82), while overall response to VNS was predicted by nonlesional epilepsy (OR, 1.38; 95% CI, 1.06-1.81). Systematic literature review results were consistent with the registry analysis: At 0 to 4 months, 40.0% of patients had responded to VNS, with 2.6% becoming seizure-free, while at last follow-up, 60.1% of individuals were responders, with 8.0% achieving seizure freedom. CONCLUSION: Response and seizure freedom rates increase over time with VNS therapy, although complete seizure freedom is achieved in a small percentage of patients. Approximately 1% of the population has epilepsy, and seizures are refractory to antiepileptic drugs (AEDs) in approximately 30% of these individuals.1 Many patients with drug-resistant temporal or extratemporal lobe epilepsy can become seizure-free with surgical resection or ablation, but other patients with epilepsy are not candidates for resection given the presence of primary generalized seizures, nonlocalizable or multifocal seizure onset, or seizure onset from an eloquent brain region.2-5 Treatments based on neuromodulation, such as vagus nerve stimulation (VNS), have, therefore, become an increasingly important part of multimodal epilepsy treatment. VNS therapy was approved by the US Food and Drug Administration in 1997 as an adjunctive therapy for reducing seizures in patients with medically refractory epilepsy, and more than 80 000 patients have received treatment with VNS.6-8 The efficacy of VNS therapy has been evaluated by randomized controlled trials,9,10 retrospective case series,11,12 meta-analysis,13 and registry-based studies.14 These studies show that about 50% to 60% of patients achieve ≥50% reduction in seizure frequency after 2 years of treatment, and response rates increase over time, likely related to neuromodulatory effects with ongoing stimulation.13 Complete seizure freedom, however, is less common with VNS therapy and other neuromodulation treatment modalities. Given that a minority of patients achieve seizure freedom with VNS, rates and predictors of seizure freedom have not been well studied and remain poorly understood. The vast majority of studies that evaluate VNS therapy focus on rate of response over time (defined as ≥50% reduction in seizures) and predictors of response; there has never been a large-scale evaluation of seizure freedom as a primary end point in patients treated with VNS. However, seizure freedom is the single best predictor of quality of life in patients with epilepsy,15,16 and therefore a better understanding of seizure freedom rates and predictors in patients treated with VNS therapy is critically needed. Importantly, this information may lead to improved patient selection and counseling in the treatment of drug-resistant epilepsy. Here, we provide the first large-scale study of VNS therapy with a primary goal of defining seizure freedom rates and predictors, and comparing predictors of seizure freedom with those of overall response to treatment. Our study includes univariate and multivariate analyses of registry data including 5554 patients treated with VNS, and also includes a systematic review of the literature including 2869 patients across 78 studies, to help confirm registry-based results. [Abstract] The withdrawal of antiepileptic drugs in patients with low-grade and anaplastic glioma. Introduction: The withdrawal of antiepileptic drugs (AEDs) in World Health Organization (WHO) grade II-III glioma patients with epilepsy is controversial, as the presence of a symptomatic lesion is often related to an increased risk of seizure relapse. However, some glioma patients may achieve long-term seizure freedom after antitumor treatment, raising questions about the necessity to continue AEDs, particularly when patients experience serious drug side effects. Areas covered: In this review, we show the evidence in the literature from 1990-2016 for AED withdrawal in glioma patients. We put this issue into the context of risk factors for developing seizures in glioma, adverse effects of AEDs, seizure outcome after antitumor treatment, and outcome after AED withdrawal in patients with non-brain tumor related epilepsy. Expert commentary: There is currently scarce evidence of the feasibility of AED withdrawal in glioma patients. AED withdrawal could be considered in patients with grade II-III glioma with a favorable prognosis, who have achieved stable disease and long-term seizure freedom. The potential benefits of AED withdrawal need to be carefully weighed against the presumed risk of seizure recurrence in a shared decision-making process by both the clinical physician and the patient.